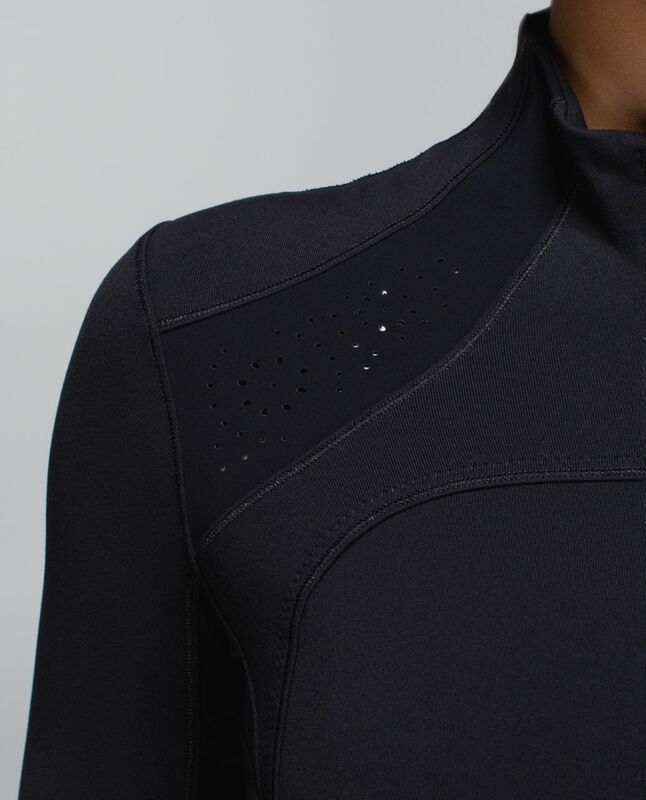 We designed this jacket with our favourite features to be the Goldilocks of midweight layers. 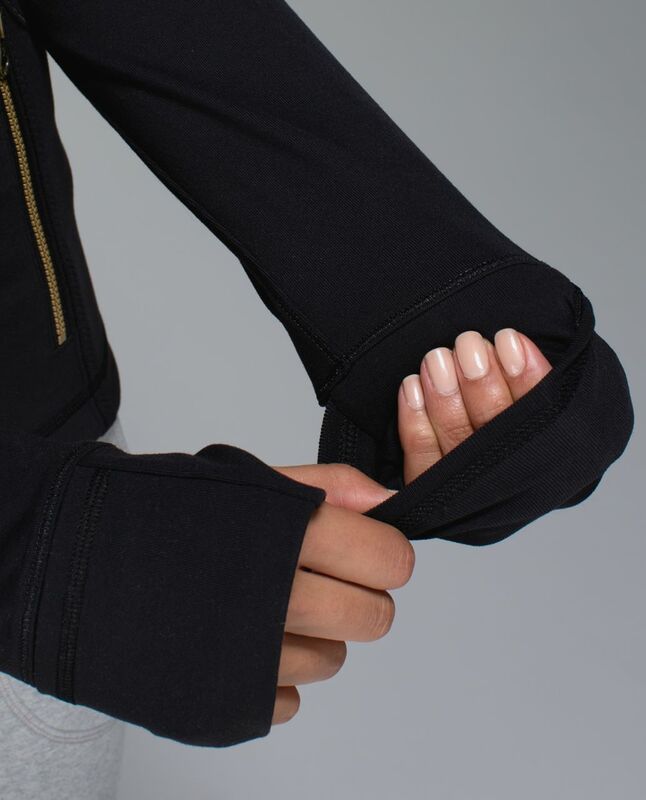 Foldover Cuffins sleeves help keep our hands warm and laser-cut ventilation lets us blow off post-practice steam. 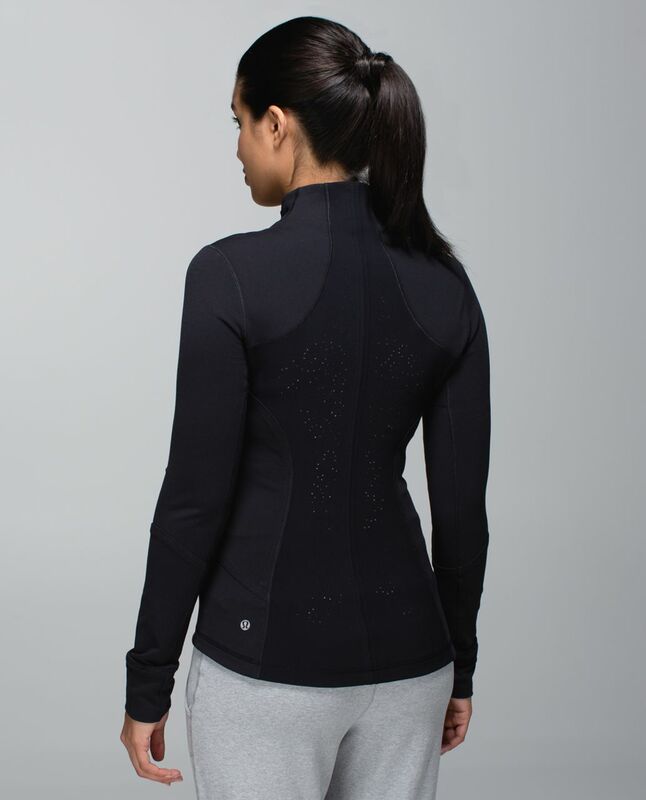 We gave it a slim fit for easy layering over a tank or under a jacket so we feel juuust right after class.